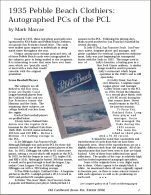 The cover and the table of contents for Issue #10 are shown below. 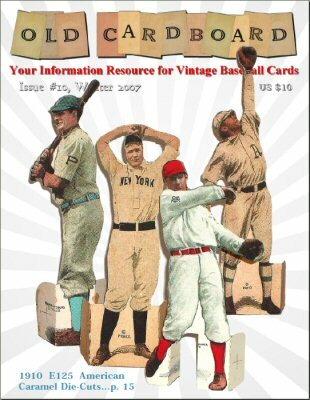 1) "1910 E125 American Caramel: The Die-cuts That Stand Up and Stand Out" by Aaron Seefeldt. 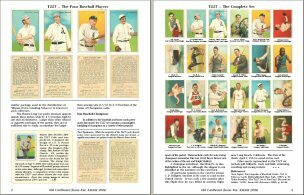 After assembling the most complete group of E125 cards ever, collector Seefeldt shares his knowledge of this unique and much sought after issue. 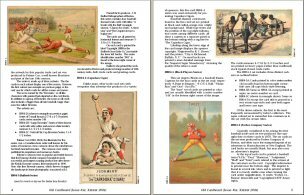 A set gallery includes all but two of the cards from the set--and one of them has never been verified to exist in the hobby today. Detailed images of all four backs are also provided. 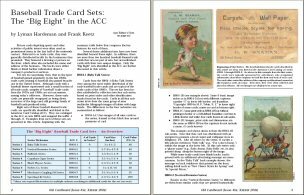 2) "Baseball Trade Card Sets: The Big Eight in the ACC" by Lyman Hardeman and Frank Keetz. 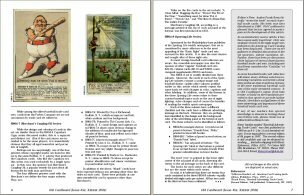 Author Keetz literally "wrote the book" on 19th century trade cards, which provides the foundation for this article on the important "first eight" sets. 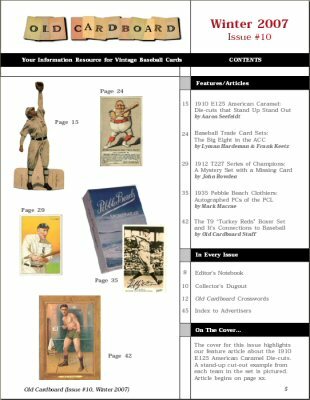 These eight sets are the only ones listed in the American Card Catalog and lay the groundwork for future articles on additional trade card sets. Example cards are shown from each set. 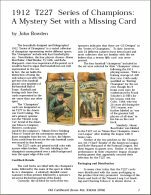 3) "1912 T227 Series of Champions: A Mystery Set with a Missing Card " by John Bowden. There are only four baseball players in this popular tobacco set. However, all four were later elected into baseball's Hall of Fame. Interestingly, the Cobb card from the set even inspired a U.S. postage stamp. Collector Bouden brings infor on the set to a new level. Includes a gallery of all 24 of the set's "champions" from many different sports. 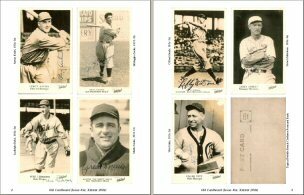 4) "1935 Pebble Beach Clothiers: Autographed PCs of the PCL" by Mark Macrae. Pacific Coast League expert Macrae provides his perspective about this obscure set and the seven players that it contains. The set features a unique mix of prominent PCL players in a real-photo-postcard format. As an added bonus, each card in the set was personally autographed by the subject "at the factory" before the cards were distributed. 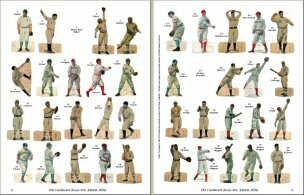 5) "The T9 'Turkey Reds' Boxer Set and It’s Connections to Baseball" by Old Cardboard Staff. 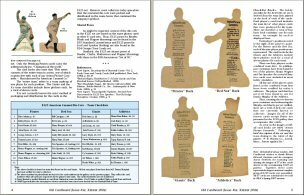 A brief look at boxings counterpart to the baseball T3 Turkey Red set of cabinet-size cards. 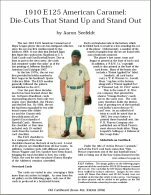 Focus is on boxer Abe Attell, a key villain in the infamous 1919 Black Sox scandal. 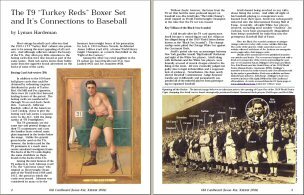 Includes an incredible photograph of the Cincinnati Reds team on opening day of the 1919 World Series...with Attell standing just behind the lineup of Reds players.